Table A has now been replaced by the new Model Articles for all companies registered from 1st. October 2009. Existing companies will still be regulated by their existing articles, based on the version of Table A in force when the company was registered or the latest articles adopted. Such companies may find it beneficial to update their articles by adopting new regulations based on Model Articles. We can help with this. For more information see our articles of association page, or contact us. "the Act" means the Companies Act 1985 including any statutory modification or re-enactment thereof for the time being in force and any provision of the Companies Act 2006 for the time being in force. "the articles" means the articles of the company. "clear days" in relation to the period of a notice means that period excluding the day when the notice is given or deemed to be given and the day for which it is given or on which it is to take effect. "electronic communication" means the same as in the Electronic Communications Act 2000". "executed" includes any mode of execution. "office" means the registered office of the company. "the holder" in relation to shares means the member whose name is entered in the register of members as the holder of the shares. "the seal" means the common seal of the company. "secretary" means the secretary of the company or any other person appointed to perform the duties of the secretary of the company, including a joint, assistant or deputy secretary. "the United Kingdom" means Great Britain and Northern Ireland. Unless the context otherwise requires, words or expressions contained in these regulations bear the same meaning as in the Act but excluding any statutory modification thereof not in force when these regulations become binding on the company. 2. Subject to the provisions of the Act and without prejudice to any rights attached to any existing shares, any share may be issued with such rights or restrictions as the company may by ordinary resolution determine. 3. Subject to the provisions of the Act, shares may be issued which are to be redeemed or are liable to be redeemed at the option of the company or the holder on such terms and in such manner as may be provided by the articles. 4. The company may exercise the powers of paying commissions conferred by the Act. Subject to the provisions of the Act, any such commission may be satisfied by the payment of cash or by the allotment of fully or partly paid shares or partly in one way and partly in the other. 5. Except as required by law, no person shall be recognised by the company as holding any share upon any trust and (except as otherwise provided by the articles or by law) the company shall not be bound by or recognise any interest in any share except an absolute right to the entirety thereof in the holder. 6. Every member, upon becoming the holder of any shares, shall be entitled without payment to one certificate for all the shares of each class held by him (and, upon transferring a part of his holding of shares in any class, to a certificate for the balance of such holding) or several certificates each for one or more of his shares upon payment for every certificate after the first of such reasonable sum as the directors may determine. Every certificate shall be sealed with the seal and shall specify the number, class and distinguishing numbers (if any) of the shares to which it relates and the amount or respective amounts paid up thereon. The company shall not be bound to issue more than one certificate for shares held jointly by several persons and delivery of a certificate to one joint holder shall be a sufficient delivery to all of them. 7. If a share certificate is defaced, worn-out, lost or destroyed, it may be renewed on such terms (if any) as to evidence and indemnity and payment of the expenses reasonably incurred by the company in investigating evidence as the directors may determine but otherwise free of charge, and (in the case of defacement or wearing out) on delivery up of the old certificate. 8. The company shall have a first and paramount lien on every share (not being a fully paid share) for all moneys (whether presently payable or not) payable at a fixed time or called in respect of that share. The directors may at any time declare any share to be wholly or in part exempt from the provisions of this regulation. The company's lien on a share shall extend to any amount payable in respect of it. 9. The company may sell in such manner as the directors determine any shares on which the company has a lien if a sum in respect of which the lien exists is presently payable and is not paid within fourteen clear days after notice has been given to the holder of the share or to the person entitled to it in consequence of the death or bankruptcy of the holder, demanding payment and stating that if the notice is not complied with the shares may be sold. 10. 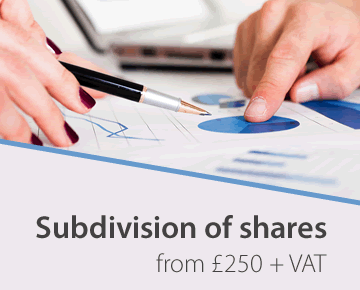 To give effect to a sale the directors may authorise some person to execute an instrument of transfer of the shares sold to, or in accordance with the directions of, the purchaser. The title of the transferee of the shares shall not be affected by any irregularity in or invalidity of the proceedings in reference to the sale. 11. The net proceeds of the sale, after payment of the costs, shall be applied in payment of so much of the sum for which the lien exists as is presently payable, and any residue shall (upon surrender to the company for cancellation of the certificate for the shares sold and subject to a like lien for any moneys not presently payable as existed upon the shares before the sale) be paid to the person entitled to the shares at the date of sale. 12. Subject to the terms of allotment, the directors may make calls upon the members in respect of any moneys unpaid on their shares (whether in respect of nominal value or premium) and each member shall (subject to receiving at least fourteen clear days' notice specifying when and where payment is to be made) pay to the company as required by the notice the amount called on his shares. A call may be required to be paid by instalments. A call may, before receipt by the company of any sum due thereunder, be revoked in whole or in part and payment of a call may be postponed in whole or part. A person upon whom a call is made shall remain liable for calls made upon him notwithstanding the subsequent transfer of the shares in respect whereof the call was made. 13. A call shall be deemed to have been made at the time when the resolution of the directors authorising the call was made. 14. The joint holders of a share shall be jointly and severally liable to pay all calls in respect thereof. 17.50. If a call remains unpaid after it becomes due and payable the person from whom it is due and payable shall pay interest on the amount unpaid from the day it became due and payable until it is paid at the rate fixed by the terms of allotment of the share or in the notice of the call or, if no rate is fixed, at the appropriate rate (as defined by the Act) but the directors may waive payment of the interest wholly or in part. 16. An amount payable in respect of a share on allotment or at any fixed date, whether in respect of nominal value or premium or as an instalment or call, shall be deemed to be a call and if it is not paid the provisions of the articles shall apply as if that amount had become due and payable by virtue of a call. 17. Subject to the terms of allotment, the directors may make arrangement on the issue of shares for a difference between the holders in the amounts and times of payment of calls on their shares. 18. If a call remains after it has become due and payable the directors may give to the person from whom it is due not less than fourteen clear days' notice requiring payment of the amount unpaid together with any interest which may have accrued. The notice shall name the place where payment is to be made and shall state that if the notice is not complied with the share sin respect of which the call was made will be liable to be forfeited. 19. If the notice is not complied with any share in respect of which it was given may, before the payment required by the notice has been made, be forfeited by a resolution of the directors and the forfeiture shall include all dividends or other moneys payable in respect of the forfeited shares and not paid before the forfeiture. 20. Subject to the provisions of the Act, a forfeited share may be sold, re-allotted or otherwise disposed of on such terms and in such manner as the directors determine either to the person who was before the forfeiture the holder or to any other person and at any time before sale, re-allotment or other disposition, the forfeiture may be cancelled on such terms as the directors think fit. Where for the purposes of its disposal a forfeited share is to be transferred to any person the directors may authorise some person to execute an instrument of transfer of the share to that person. 21. A person any of whose shares have been forfeited shall cease to be a member in respect of them and shall surrender to the company for cancellation the certificate for the shares forfeited but shall remain liable to the company for all moneys which at the date of forfeiture were presently payable by him to the company in respect of those shares with interest at the rate at which interest was payable on those moneys before the forfeiture or, if no interest was so payable, at the appropriate rate (as defined in the Act) from the date of forfeiture until payment but the directors may waive payment wholly or in part or enforce payment without any allowance for the value of the shares at the time of forfeiture or for any consideration received on their disposal. 22. A statutory declaration by a director or the secretary that a share has been forfeited on a specified date shall be conclusive evidence of the facts stated in it as against all persons claiming to be entitled to the share and the declaration shall (subject to the execution of an instrument of transfer if necessary) constitute a good title to the share and the person to whom the share is disposed of shall not be bound to see to the application of the consideration, if any, nor shall his title to the share be affected by any irregularity in or invalidity of the proceedings in reference to the forfeiture or disposal of the share. 23. The instrument of transfer of a share may be in any usual form or in any other form which the directors may approve and shall be executed by or on behalf of the transferor and, unless the share is fully paid, by or on behalf of the transferee. (c) it is in favour of not more than four transferees. 25. If the directors refuse to register the transfer of a share , they shall within two months after the date on which the transfer was lodged with the company send to the transferee notice of the refusal. 26. The registration of transfers of shares or of transfers of any class of shares may be suspended at such times and for such periods (not exceeding thirty days in any year) as the directors may determine. 27. No fee shall be charged for the registration of any instrument of transfer or other document relating to or affecting the title to any share. 28. The company shall be entitled to retain any instrument of transfer which is registered, but any instrument of transfer which the directors refuse to register shall be returned to the person lodging it when notice of the refusal is given. 29. If a member dies the survivor or survivors where he was a joint holder, and his personal representatives where he was a sole holder or the only survivor of joint holders, shall be the only persons recognised by the company as having any title to his interest; but nothing herein contained shall release the estate of a deceased member from any liability in respect of any share which had been jointly held by him. 35. A person becoming entitled to a share in consequence of the death or bankruptcy of a member may, upon such evidence being produced as the directors may properly require, elect either to become the holder of the share or to have some person nominated by him registered as the transferee. If he elects to become the holder he shall give notice to the company to that effect. If he elects to have another person registered he shall execute an instrument of transfer of the share to that person. All the articles relating to the transfer of shares shall apply to the notice or instrument of transfer as if it were an instrument of transfer executed by the member and the death or bankruptcy of the member had not occurred. 31. A person becoming entitled to a share in consequence of the death or bankruptcy of a member shall have the rights to which he would be entitled if he were the holder of the share, except that he shall not, before being registered as the holder of the share, be entitled in respect of it to attend or vote at any meeting of the company or at any separate meeting of the holders of any class of shares in the company. (d) cancel shares which, at the date of the passing of the resolution, have not been taken or agreed to be taken by any person and diminish the amount of its share capital by the amount of the shares so cancelled. 33. Whenever as a result of a consolidation of shares any members would become entitled to fractions of a share, the directors may, on behalf of those members, sell the shares representing the fractions for the best price reasonably obtainable to any person (including, subject to the provisions of the Act, the company) and distribute the net proceeds of sale in due proportion among those members, and the directors may authorise some person to execute an instrument of transfer of the shares to, or in accordance with the directions of, the purchaser. The transferee shall not be bound to see to the application of the purchase money nor shall his title to the shares be affected by any irregularity in or invalidity of the proceedings in reference to the sale. 34. Subject to the provisions of the Act, the company may by special resolution reduce its share capital, any capital redemption reserve and any share premium account in any way. 35. Subject to the provisions of the Act, the company may purchase its own shares (including any redeemable shares) and, if it is a private company, make a payment in respect of the redemption or purchase of its own shares otherwise than out of distributable profits of the company or the proceeds of a fresh issue of shares. 37. The directors may call general meetings and, on the requisition of members pursuant to the provisions of the Act, shall forthwith proceed to convene a general meeting in accordance with the provisions of the Act. If there are not within the United Kingdom sufficient directors to call a general meeting, any director or any member of the company may call a general meeting. (b) in the case of a meeting by a majority in number of the members having a right to attend and vote being a majority together holding not less than ninety-five per cent. in nominal value of the shares giving that right. The notice shall specify the time and place of the meeting and the general nature of the business to be transacted. Subject to the provisions of the articles and to any restrictions imposed on any shares, the notice shall be given to all the members, to all persons entitled to a share in consequence of the death or bankruptcy of a member and to the directors and auditors. 39. The accidental omission to give notice of a meeting to, or the non-receipt of notice of a meeting by, any person entitled to receive notice shall not invalidate the proceedings at that meeting. 40. No business shall be transacted at any meeting unless a quorum is present. Save in the case of a company with a single member, two persons entitled to vote upon the business to be transacted, each being a member or a proxy for a member or a duly authorised representative of a corporation, shall be a quorum. 41. If such a quorum is not present within half an hour from the time appointed for the meeting, or if during a meeting such a quorum ceases to be present, the meeting shall stand adjourned to the same day in the next week at the same time and place or to such time and place as the directors may determine. 42. The chairman, if any, of the board of directors or in his absence some other director nominated by the directors shall preside as chairman of the meeting, but if neither the chairman nor such other director (if any) be present within fifteen minutes after the time appointed for holding the meeting and willing to act, the directors present shall elect one of their number to be chairman and, if there is only one director present and willing to act, he shall be chairman. shall choose one of their number to be chairman. 44. A director shall, notwithstanding that he is not a member, be entitled to attend and speak at any general meeting and at any separate meeting of the holders of any class of shares in the company. 45. The chairman may, with the consent of a meeting at which a quorum is present (and shall if so directed by the meeting), adjourn the meeting from time to time and from place to place, but no business shall be transacted at an adjourned meeting other than business which might properly have been transacted at the meeting had the adjournment not taken place. When a meeting is adjourned for fourteen days or more, at least seven clear days' notice shall be given specifying the time and place of the adjourned meeting and the general nature of the business to be transacted. Otherwise it shall not be necessary to give any such notice. 47. Unless a poll is duly demanded a declaration by the chairman that a resolution has been carried or carried unanimously, or by a particular majority, or lost, or not carried by a particular majority and an entry to that effect in the minutes of the meeting shall be conclusive evidence of the fact without proof of the number or proportion of the votes recorded in favour of or against the resolution. 48. The demand for a poll may, before the poll is taken, be withdrawn but only with the consent of the chairman and a demand so withdrawn shall not be taken to have invalidated the result of a show of hands declared before the demand was made. 49. A poll shall be taken as the chairman directs and he may appoint scrutineers (who need not be members) and fix a time and place for declaring the result of the poll. The result of the poll shall be deemed to be the resolution of the meeting at which the poll was demanded. 51. A poll demanded on the election of a chairman or on a question of adjournment shall be taken forthwith. A poll demanded on any other question shall be taken either forthwith or at such time and place as the chairman directs not being more than thirty days after the poll is demanded. if a poll is demanded before the declaration of the result of a show of hands and the demand is duly withdrawn, the meeting shall continue as if the demand had not been made. 52. No notice need be given of a poll not taken forthwith if the time and place at which it is to be taken are announced at the meeting at which it is demanded. in any other case at least seven clear days' notice shall be given specifying the time and place at which the poll is to be taken. 54. Subject to any rights or restrictions attached to any shares, on a show of hands every member who (being an individual) is present in person or (being a corporation) is present by a duly authorised representative, not being himself entitled to vote, shall have one vote and on a poll every member shall have one vote for every share of which he is the holder. 55. In the case of joint holders the vote of the senior who tenders a vote, whether in person or by proxy, shall be accepted to the exclusion of the votes of the other joint holders; and seniority shall be determined by the order in which the names of the holders stand in the register of members. 56. A member in respect of whom an order has been made by any court having jurisdiction whether in the United Kingdom or elsewhere) in matters concerning mental disorder may vote, whether on a show of hands or on a poll, by his receiver, curator bonis or other person authorised in that behalf appointed by that court, and any such receiver, curator bonis or other person may, on a poll, vote by proxy. Evidence to the satisfaction of the directors of the authority of the person claiming to exercise the right to vote shall be deposited at the office, or at such other place as is specified in accordance with the articles for the deposit of instruments of proxy, not less than forty-eight hours before the time appointed for holding the meeting at which the right to vote is to be exercised and in default the right to vote shall not be exercised. 57. No member shall vote at any general meeting or at any separate meeting of the holders of any class of shares in the company, either in person or by proxy, in respect of any share held by him unless all moneys presently payable by him in respect of that share have been paid. 58. No objection shall be raised to the qualification of any voter except at the meeting or adjourned meeting at which the vote objected to is tendered, and every vote not disallowed at the meeting shall be valid. Any objection made in due time shall be referred to the chairman whose decision shall be final and conclusive. 59. On a poll votes may be given personally or by proxy. A member may appoint more than one proxy to attend on the same occasion. I/We,................................. of......................................., member/members of the above-named company, hereby appoint................................... of........................................, or failing him,........................................of....................................., as my our proxy to vote in my/our name[s] and on my/our behalf at the annual/extraordinary general meeting of the company to be held on.....................19........., and at any adjournment thereof. Unless otherwise instructed, the proxy may vote as he thinks fit or abstain from voting. In this regulation and the next, "address", in relation to electronic communications, includes any number or address used for the purposes of such communications. 63. A vote given or poll demanded by proxy or by the duly authorised representative of a corporation shall be valid notwithstanding the previous determination of the authority of the person voting or demanding a poll unless notice of the determination was received by the company at the office or at such other place at which the instrument of proxy was duly deposited or, where the appointment of the proxy was contained in an electronic communication, at the address at which such appointment was duly received before the commencement of the meeting or adjourned meeting at which the vote is given or the poll demanded or (in the case of a poll taken otherwise than on the same day as the meeting or adjourned meeting) the time appointed for taking the poll. 64. Unless otherwise determined by ordinary resolution, the number of directors (other than alternate directors) shall not be subject to any maximum but shall be not less than two. 65. Any director (other than an alternate director) may appoint any other director, or any other person approved by resolution of the directors and willing to act, to be an alternate director and may remove from office an alternate director so appointed by him. 66. An alternate director shall be entitled to receive notice of all meetings of directors and of all meetings of committees of directors of which his appointor is a member, to attend and vote at any such meeting at which the director appointing him is not personally present, and generally to perform all the functions of his appointor as a director in his absence but shall not be entitled to receive any remuneration from the company for his services as an alternate director. But it shall not be necessary to give notice of such a meeting to an alternate director who is absent from the United Kingdom. 67. An alternate director shall cease to be an alternate director if his appointor ceases to be a director; but, if a director retires by rotation or otherwise but is reappointed or deemed to have been reappointed at the meeting at which he retires, any appointment of an alternate director made by him which was in force immediately prior to his retirement shall continue after his reappointment. 68. Any appointment or removal of an alternate director shall be by notice to the company signed by the director making or revoking the appointment or in any other manner approved by the directors. 69. Save as otherwise provided in the articles, an alternate director shall be deemed for all purposes to be a director and shall alone be responsible for his own acts and defaults and he shall not be deemed to be the agent of the director appointing him. 70. Subject to the provisions of the Act, the memorandum and the articles and to any directions given by special resolution, the business of the company shall be managed by the directors who may exercise all the powers of the company. No alteration of the memorandum or articles and no such direction shall invalidate any prior act of the directors which would have been valid if that alteration had not been made or that direction had not been given. The powers given by this regulation shall not be limited by any special power given to the directors by the articles and a meeting of directors at which a quorum is present may exercise all powers exercisable by the directors. 71. 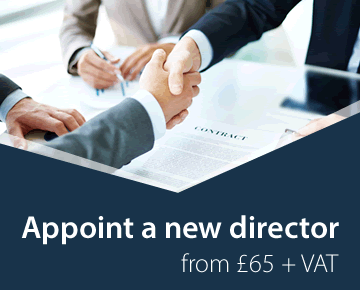 The directors may, by power of attorney or otherwise, appoint any person to be the agent of the company for such purposes and on such conditions as they determine, including authority for the agent to delegate all or any of his powers. 72. The directors may delegate any of their powers to any committee consisting of one or more directors. They may also delegate to any managing director or any director holding any other executive office such of their powers as they consider desirable to be exercised by him. Any such delegation may be made subject to any conditions the directors may impose, and either collaterally with or to the exclusion of their own powers and may be revoked or altered. Subject to any such conditions, the proceedings of a committee with two or more members shall be governed by the articles regulating the proceedings of directors so far as they are capable of applying. (b) not less than fourteen not more than thirty-five clear days before the date appointed for the meeting, notice executed by a member qualified to vote at the meeting has been given to the company of the intention to propose that person for appointment or re-appointment stating the particulars which would, if he were so appointed or re-appointed, be required to be included in the company's register of directors together with notice executed by that person of his willingness to be appointed or reappointed. 77. Not less than seven nor more than twenty-eight clear days before the date appointed for holding a general meeting notice shall be given to all who are entitled to receive notice of the meeting of any person who is recommended by the directors for appointment or reappointment as a director at the meeting or in respect of whom notice has been duly given to the company of the intention to propose him at the meeting for appointment or reappointment as a director. The notice shall give the particulars of that person which would, if he were so appointed or reappointed, be required to be included in the company's register of directors. 78. 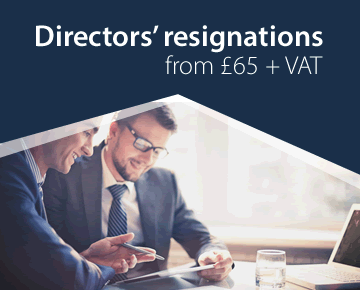 The company may by ordinary resolution appoint a person who is willing to act to be a director either to fill a vacancy or as an additional director and may also determine the rotation in which any additional directors are to retire. 79. The directors may appoint a person who is willing to act to be a director, either to fill a vacancy or as an additional director, provided that the appointment does not cause the number of directors to exceed any number fixed by or in accordance with the articles as the maximum number of directors. 82. The directors shall be entitled to such remuneration as the company may by ordinary resolution determine and, unless the resolution provides otherwise, the remuneration shall be deemed to accrue from day to day. 83. The directors may be paid all travelling, hotel and other expenses properly incurred by them in connection with their attendance at meetings of directors or committees of directors or general meetings or separate meetings of the holders of any class of shares or of debentures of the company or otherwise in connection with the discharge of their duties. 84. Subject to the provisions of the Act, the directors may appoint one or more of their number to the office of managing director or to any other executive office under the company and may enter into an agreement or arrangement with any director for his employment by the company or for the provision by him of any services outside the scope of the ordinary duties of a director. Any such appointment, agreement or arrangement may be made upon such terms as the directors determine and they may remunerate any such director for his services as they think fit. Any appointment of a director to an executive office shall terminate if he ceases to be a director but without prejudice to any claim to damages for breach of the contract of service between the director and the company. A managing director and a director holding any other executive office shall not be subject to retirement by rotation. (c) shall not, by reason of his office, be accountable to the company for any benefit which he derives from any such office or employment or from any such transaction or arrangement or from any interest in any such body corporate and no such transaction or arrangement shall be liable to be avoided on the ground of any such interest or benefit. (b) an interest in which a director has no knowledge an of which it is unreasonable to expect him to have knowledge shall not be treated as an interest as his. 87. The directors may provide benefits, whether by the payment of gratuities or pensions or by insurance or otherwise, for any director who has held but no longer holds any executive office or employment with the company or with any body corporate which is or has been a subsidiary of the company or a predecessor in business of the company or of any such subsidiary, and for any member of his family (including a spouse and a former spouse) or any person who is or was dependent on him, and may (as well before as after he ceases to hold such office or employment) contribute to any fund and pay premiums for the purchase or provision of any such benefit. 88. Subject to the provisions of the articles, the directors may regulate their proceedings as they think fit. A director may, and the secretary at the request of a director shall, call a meeting of the directors. It shall not be necessary to give notice of a meeting to a director who is absent from the United Kingdom. Questions arising at a meeting shall be decided by a majority of votes. In the case of an equality of votes, the chairman shall have a second or casting vote. A director who is also an alternate director shall be entitled in the absence of his appointor to a separate vote on behalf of his appointor in addition to his own vote. 89. The quorum for the transaction of the business of the directors shall be fixed by the directors and unless so fixed shall be two. A person who holds office only as an alternate director shall, if his appointor is not present, be counted in the quorum. 90. The continuing directors or a sole continuing director may act notwithstanding any vacancies in their number, but if the number of directors is less than the number fixed as the quorum, the continuing directors or director may act only for the purpose of filling vacancies or of calling a general meeting. 91. The directors may appoint one of their number to be the chairman of the board of directors and may at any time remove him from that office. Unless he is unwilling to do so, the director so appointed shall preside at every meeting of directors at which he is present. But if there is no director holding that office, or if the director holding it is unwilling to preside or is not present within five minutes after the time appointed for the meeting, the directors present may appoint one of their number to be chairman of the meeting. 92. All acts done by a meeting of directors, or of a committee of directors, or by a person acting as a director shall, notwithstanding that it be afterwards discovered that there was a defect in the appointment of any director or that any of them were disqualified from holding office, or had vacated office, or were not entitled to vote, be as valid as if every such person had been duly appointed and was qualified and had continued to be a director and had been entitled to vote. 93. A resolution in writing signed by all the directors entitled to receive notice of a meeting of directors or of a committee of directors shall be as valid and effectual as if it had been passed at a meeting of directors or (as the case may be) a committee of directors duly convened and held and may consist of several documents in the like form each signed by one or more directors; but a resolution signed by an alternate director need not also be signed by his appointor and, if it is signed by a director who has appointed an alternate director, it need not be signed by the alternate director in that capacity. (b) the resolution relates to the giving to a third party of a guarantee, security, or indemnity in respect of an obligation of the company or any of its subsidiaries, or by virtue of his being, or intending to become, a participant in the underwriting or sub-underwriting of an offer of any such shares, debentures, or other securities by the company or any of its subsidiaries for subscription, purchase or exchange. (d) the resolution relates in any way to a retirement benefits scheme which has been approved, or is conditional upon approval, by the Board of Inland Revenue for taxation purposes. For the purposes of this regulation, an interest of a person who is, for any purpose of the Act (excluding any statutory modification thereof not in force when this regulation becomes binding on the company), connected with a director shall be treated as an interest of the director and, in relation to an alternate director, an interest of his appointor shall be treated as an interest of the alternate director without prejudice to any interest which the alternate director has otherwise. 95. A director shall not be counted in the quorum present at a meeting in relation to a resolution on which he is not entitled to vote. 96. The company may by ordinary resolution suspend or relax to any extent, either generally or in respect of any particular matter, any provision of the articles prohibiting a director from voting at a meeting of directors or of a committee of directors. 97. Where proposals are under consideration concerning the appointment of two or more directors to offices or employments with the company or any body corporate in which the company is interested the proposals may be divided and considered in relation to each directors separately and (provided he is not for another reason precluded from voting) each of the directors concerned shall be entitled to vote and be counted in the quorum in respect of each resolution except that concerning his own appointment. 98. If a question arises at a meeting of directors or of a committee of directors as to the right of a director to vote, the question may, before the conclusion of the meeting, be referred to the chairman of the meeting and his ruling in relation to any director other than himself shall be final and conclusive. 99. Subject to the provisions of the Act, the secretary shall be appointed by the directors for such term, at such remuneration and upon such conditions as they may think fit; and any secretary so appointed may be removed by them. (b) of all proceedings at meetings of the company, of the holders of any class of shares in the company, and of the directors, including the names of the directors present at each such meeting. 101. The seal shall only be used by the authority of the directors or of a committee of the directors authorised by the directors. The directors may determine who shall sign any instrument to which the seal is affixed and unless otherwise so determined it shall be signed by a director and by the secretary or by a second director. 103. Subject to the provisions of the Act, the directors may pay interim dividends if it appears to them that they are justified by the profits of the company available for distribution. If the share capital is divided into different classes, the directors may pay interim dividends on shares which confer deferred or non-preferred rights with regard to dividend as well as on shares which confer preferential rights with regard to dividend, but no interim dividend shall be paid on shares carrying deferred or non-preferred rights if, at the time of payment, any preferential dividend is in arrear. The directors may also pay at intervals settled by them any dividend payable at a fixed rate if it appears to them that the profits available for distribution justify the payment. Provided the directors act in good faith they shall not incur any liability to the holders of shares conferring preferred rights for any loss they may suffer by the lawful payment of an interim dividend on any shares having deferred or non-preferred rights. 109. No member shall (as such) have any right of inspecting any accounting records or other book or document of the company except as conferred by statute or authorised by the directors or by ordinary resolution of the company. (d) authorise any person to enter on behalf of all the members concerned into an agreement with the company providing for the allotment to them respectively, credited as fully paid, of any shares or debentures to which they are entitled upon such capitalisation, any agreement made under such authority being binding on all such members. 111. Any notice to be given to or by any person pursuant to the articles (other than a notice calling a meeting of the directors) shall be in writing or shall be given using electronic communications to an address for the time being notified for that purpose to the person giving the notice. In this regulation, "address", in relation to electronic communications, includes any number or address used for the purposes of such communications. 112. The company may give any notice to a member either personally or by sending it by post in a prepaid envelope addressed to the member at his registered address or by leaving it at that address or by giving it using electronic communications to an address for the time being notified to the company by the member. In the case of joint holders of a share, all notices shall be given to the joint holder whose name stands first in the register of members in respect of the joint holding and notice so given shall be sufficient notice to all the joint holders. A member whose registered address is not within the United Kingdom and who gives to the company an address within the United Kingdom at which notices may be given to him shall be entitled to have notices given to him or an address to which notices may be sent using electronic communications, at that address, but otherwise no such member shall be entitled to receive any notice from the company. 113. A member present, either in person or by proxy, at any meeting of the company or of the holders of any class of shares in the company shall be deemed to have received notice of the meeting and, where requisite, of the purposes for which it was called. 114. Every person who becomes entitled to a share shall be bound by any notice in respect of that share which, before his name is entered on the register of members, has been duly given to a person from whom he derives his title. 117.50. Proof that an envelope containing a notice was properly addressed, prepaid and posted shall be conclusive evidence that the notice was given. Proof that a notice contained in an electronic communication was sent in accordance with guidance issued by the Institute of Chartered Secretaries and Administrators shall be conclusive evidence that the notice was given. A notice shall, unless the contrary is proved, be deemed to be given at the expiration of forty-eight hours after the envelope containing it was posted or, in the case of a notice contained in an electronic communication, at the expiration of 48 hours after the time it was sent. 116. A notice may be given by the company to the persons entitled to a share in consequence of the death or bankruptcy of a member by sending or delivering it, in any manner authorised by the articles for the giving of notice to a member, addressed to them by name, or by the title of representatives of the deceased, or trustees of the bankrupt or by any like description at the address, if any, within the United Kingdom supplied for that purpose by the persons claiming to be so entitled. Until such an address has been supplied, a notice may be given in any manner in which it might have been given if the death or bankruptcy had not occurred. 117. If the company is wound up, the liquidator may, with the sanction of a special resolution of the company and any other sanction required by the Act, divide among the members in specie the whole or any part of the assets of the company and may, for that purpose, value any assets and determine how the division shall be carried out as between the members or different classes of members. The liquidator may, with the like sanction, vest the whole or any part of the assets in trustees upon such trusts for the benefit of the members as he with the like sanction determines, but no member shall be compelled to accept any assets upon which there is a liability. 118. Subject to the provisions of the Act but without prejudice to any indemnity to which a director may otherwise be entitled, every director or other officer or auditor of the company shall be indemnified out of the assets of the company against any liability incurred by him in defending any proceedings, whether civil or criminal, in which judgment is given in his favour or in which he is acquitted or in connection with any application in which relief is granted to him by the court from liability for negligence, default, breach of duty or breach of trust in relation to the affairs of the company.